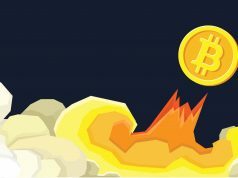 Home Bitcoin The High Rise of Bitcoin: When and How Did It Begin? Life becomes easy because of the fast-changing technological advancement. One of its benefits is the development of digital currency. 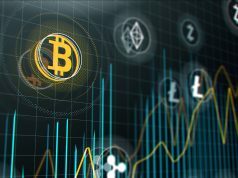 It is a type of payment that does not involve cash and is transferred electronically using smartphones and computers that are connected to the internet. This brought about the rise of Bitcoin. Bitcoin is the first digital currency developed. Some of the uses of Bitcoin are for purchasing goods, transferring money, and booking tickets. These transactions do not require bank or any governing body; thus, many businessmen considered using it. A lot of questions about how and when Bitcoin started arise. Satoshi Nakamoto, an alias, who is a web developer invented Bitcoin software. Its purpose is for decentralization. The concept is to develop digital currency that is not subjected to any government authority which means no one controls it. No one really knew who Satoshi Nakamoto is aside from it is a pseudonym. An article published by Fast Company said that it could be a name for a group of people, namely, Neal King, Vladimir Oksman, and Charles Bry. But it has never been proven true. The identity of Satoshi Nakamoto remains a mystery. Decentralized currency. Bitcoin is regulated by no one and is a good diversifier and helps in risk reduction. It is considered a haven that is better than any traditional currencies. Maximized the use of technology. It does not require cash-based transactions. These are made easily online using a personal computer and smartphone anytime and anywhere. Political instability. Bitcoin takes advantage of the opportunity to build trust every time the government fails. 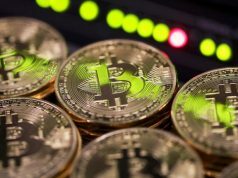 With the popularity of digital currency, e.g., the rise of Bitcoin, it is still best to look for an investment that assures the safety of your money. The future is uncertain. It will be the best to invest wisely.